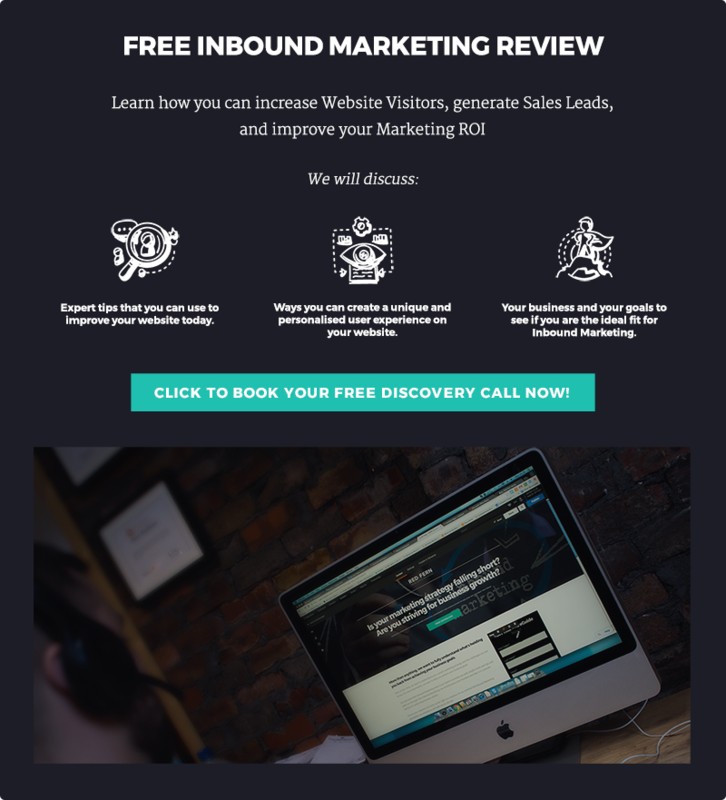 Landing pages are extremely vital when it comes to generating leads. It would be safe to say that they are the gateways to quality leads, so it is crucial to optimise your landing pages to increase your conversions. When it comes to landing page optimisation strategies, there is plenty of information online that can assist you. Although some techniques such as including a description and removing navigation can be applied to all types of landing pages regardless of the industry, there are specific techniques that can specifically be used to entice a technical audience. "That is another way of saying what works with the general audience may not work with a technical audience". 1. Optimise your page for search. Your technical audience is most likely to use Google search to find information online. So, optimise your page for search by adding Meta data, creating relevant and appealing page titles and including headings in your content. Also, ensure your body copy is optimised for search. According to Trew Marketing, engineers are 79% more likely to use a keyword search to find content online. Keyword stuffing: Using too many keywords on your landing pages. Search engines want content that runs smoothly, not one in which too many keywords that are forced. In any case, you are writing for your technical audience, not for search engine spiders. Let the keywords appear naturally. Low quality links: Do not use low quality “spam” links because they will get you nowhere when it comes to search engine optimisation. Poor user experience: If the users aren’t finding it easy to get around your landing page, or they are finding it too difficult to find the information they are looking for, they’ll leave as soon as possible. Engineers have no time for long winded messages. Just go straight to the point and display your content properly. High bounce rates can hurt your SEO in the long run and indicate people coming to the page did not get what they wanted. Important Note: Focus on Meta data and title tags. It is important to make sure that the Meta descriptions are tightly focused on the page they describe and that they are correctly formatted. As a rule of thumb, never copy the Meta descriptions from anywhere because they will be seen as duplicate content and could cause the Meta description and copied text both to be ignored by the search engines. The Meta description is used by search engines to describe your page in the search engine results and should be used to entice people reading the search engine results to click on yours and find out more. Your title tags should be unique and contain between 4-8 words composed of 50-60 characters. They need to concisely describe the page content or purpose and can have a significant impact on search engine rankings as well as appearing above the Meta description in search engine results. This means that they must contain a relevant keyword or keywords but be intelligible by people reading them so take the time to get them right and use the Meta description to add extra detail. 2. Never forget PDF download. Engineers love to download PDF documents because it gives them a sense of satisfaction that they will get more information in PDF format than they would in web pages. PDF downloads give you an opportunity to explain your information in more detail. PDF downloads are also loved because one can save them onto their computer or tablets for later viewing. In fact, in the recent Engineers' Content Marketing Preferences survey, results showed that 90% of engineers prefer content that is in a downloadable PDF document format. 3. Always be as accurate as possible. You can't get away with providing less than accurate information to your technical audience. Unlike the average consumer who most likely might just be surfing the net, the engineering audience is often keenly scavenging the net to look for a very specific technical information to solve a particular technical problem. If your landing page is filled with a lot of filler content or is overly promotional (which means you are more interested in making a sale than providing technical information), you will not resonate with your technical audience. You might think this is obvious, but you will be surprised at how many marketers think no one will notice if they have missed out some small fact or piece of data. Engineers care about every small detail. For instance, when you are selling toys, you can afford to tell your audience that the toy is about 6 inches long. The technical audience, on the other hand, wants to know that the instrument you are selling is 6.231 inches long and not just "about 6 inches long". Maybe they are specifically looking for one that is 6.754 inches long. Apart from accuracy, ensure that you have included detailed images and diagrams as supporting content to back up your information. Images and diagrams provide summaries and help to give more detail. 4. Engineers have no issues providing extra form information when looking for technical content. Your typical online audience would prefer to provide a minimum of information when signing up. They would probably prefer to provide only their first name and email address; or even just the email address. The more information you ask from them, the less likely they will be to complete the signup form. The technical audience thinks differently. For them, providing first name, last name, email address as well as the company name and a job title is not an issue so long as they know they will gain access to the content you promise. However, don't ask for unnecessary details as that will quickly lead to them leaving the signup process. Only ask for information that will assist you to provide tailored content that they are looking for. 5. Engineers are more willing to read long blocks of text compared to other audiences, but don’t us more text if it is not relevant. Engineers have no qualms reading a detailed but structured body text if that is what is needed to explain your point fully. But you have to ensure you are providing valuable technical content such as how the product/service works or informational data sheets. As a rule of thumb, where one word can replace three words, use the single word. Engineers don’t need to be inspired to like or buy a product but need to know why the product or service is suited to their needs. Research show that detailed, long and ever-green content can have a big impact when it comes to attracting organic traffic. Short pieces of information cannot be of much help to engineers because more often than not, they are seeking detailed information or the logic behind certain claims. They want to understand the how, why, where and when of your products. However, it is not advisable to write long text especially if you have nothing new to say. In that case, it is better to remain brief and clear. What works with your other audience from other industries may not work with a technical audience. They think differently. While you need to appeal to the emotional aspects of your other audience, the engineering audience is a lot more logical and has less time for emotional feelings so target them accordingly.